Published: Feb 2, 2019 - Modified: Apr 17, 2019 - by Chef Rodney - 2 Comments - This post contains Ads & Affiliate Links. This is THE recipe that really got me into food blogging as well as publish my first cookbook. I made the first incarnation of this recipe well over 10 years ago. Through trial and error, and tons of feedback from family and friends, this is what I ended up with. 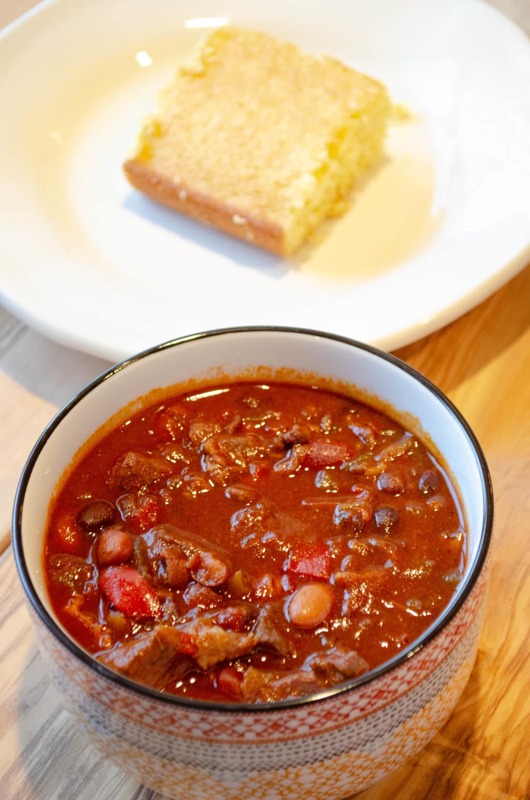 Over the years I even entered this recipe into a couple of local Chili Cook-offs competitions. I can proudly say that I have never ranked less than 3rd and have finished first several times. Now I’m sure some of you are looking at the ingredients and thinking that this chili is complicated to make but it really isn’t! 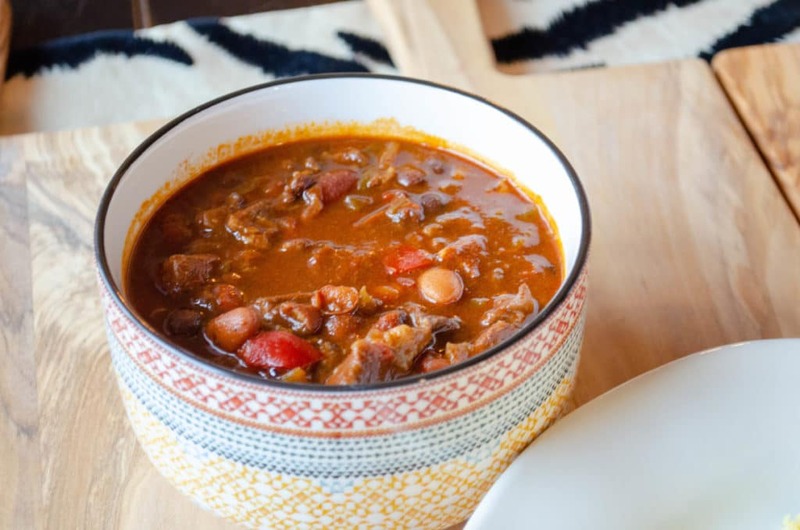 According to the International Chili Society, there are several categories of Chili: Traditional Red Chili, Chili Verde, Homestyle Chili, and, believe it or not, Salsa. 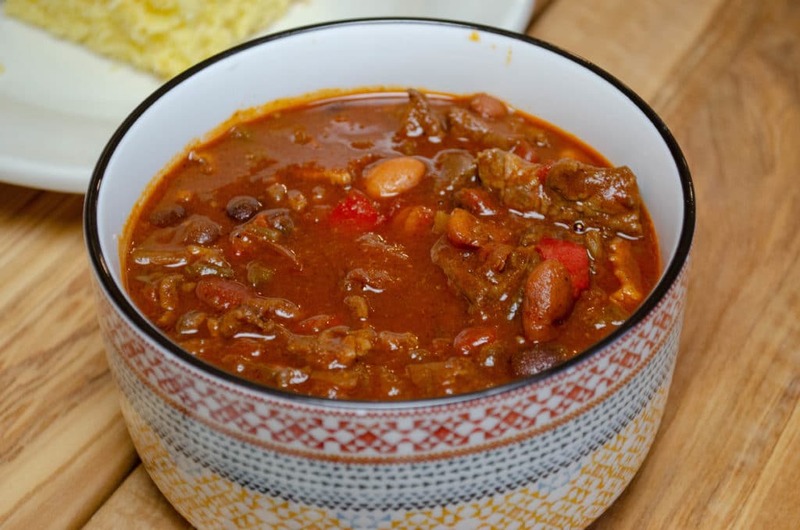 They stipulate that Homestyle Chili is the only category of chili that allows the use of “fillers” such as beans and pasta. 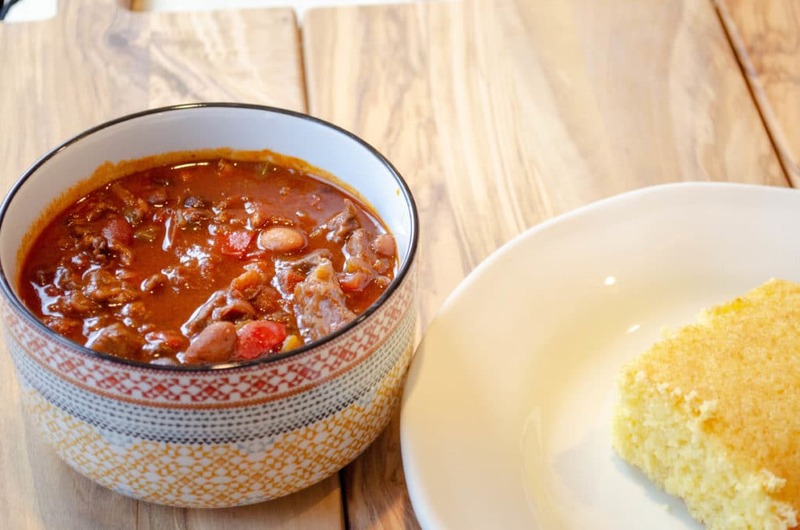 That being said, Chili Appreciation Society International, does not appear to categorize the chili, but adamantly forbids beans and other nonstandard ingredients, like macaroni, rice, and hominy. In a large pot, add onion, ground beef and sausage and cook until brown. Drain fat. Add all vegetables to pot and stir. Add drained canned beans and canned tomatoes and stir. Add spices, sugar, chocolate, mustard and better than bouillon and stir until well combined. Add bacon and beer, stir and cover. Let simmer for a couple of hours stirring occasionally. → Serve in a bowl topped with crushed tortilla chips and your favorite cheese. → I recommend wearing disposable gloves when cutting hot peppers. Avoid touching your face. → Please take into consideration that some of the alcohol in this recipe may not completely burn off and the remains could be of significant concern to recovering alcoholics, parents, and others who have ethical or religious reasons for avoiding alcohol. I have not made this yet. I do not use alcohol. Do I just omit it or is there a substitute, like canned beef consommé? It looks really good. Thanks. You can simply omit the beer. 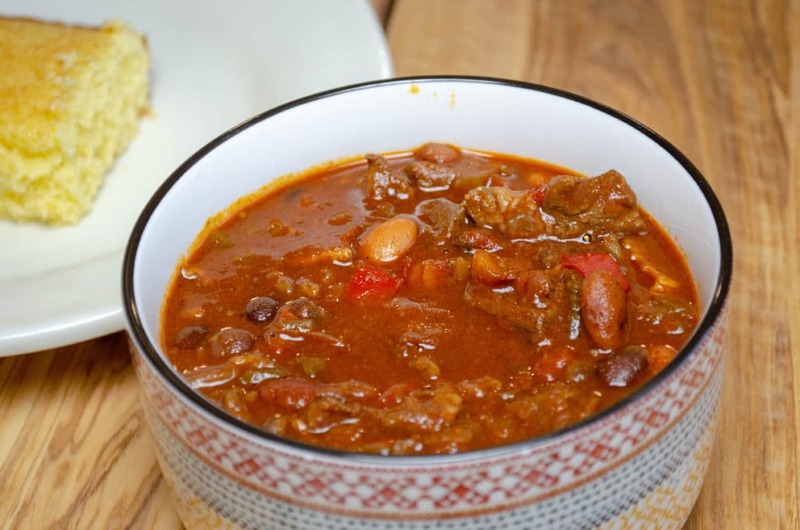 If the chili is too thick for your liking you can add chicken or beef broth. enjoy!